Well my friends we are officially entering the holiday season, which means lots of parties. 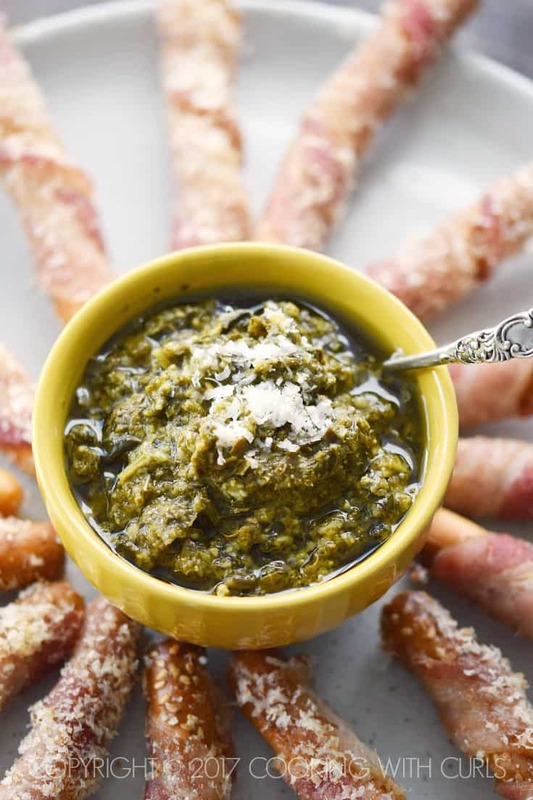 Since time is usually at a premium this time of year, I thought I would come up with some deliciously simple appetizers over the next few weeks…like this Bacon-Wrapped Breadsticks Appetizer that is served with jarred or homemade Basil Pesto….. I bet you are trying to figure out how to grab one off the screen, aren’t you? 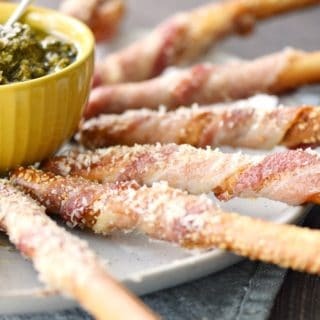 😉 I’m not going to lie, this Bacon-Wrapped Breadsticks Appetizer is the BOMB!! 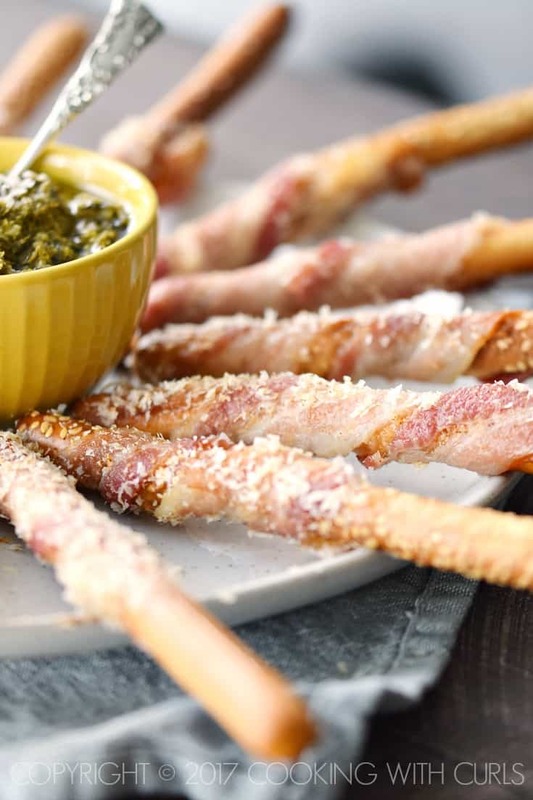 Crunchy breadsticks wrapped with bacon, baked to perfection, then sprinkled with a spicy Parmesan mixture that will send your taste buds into overdrive…and they are super simple to prepare! 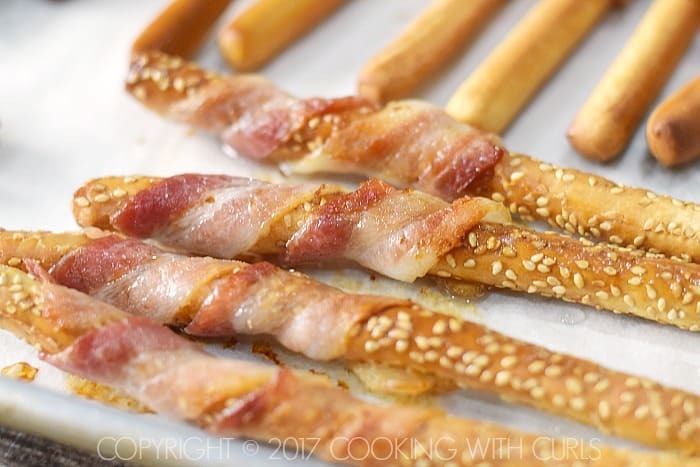 Grab one slice of bacon and wrap it around each breadstick, and place them on the prepared baking sheet…..
Bake for 20 to 25 minutes until bacon is browned….. 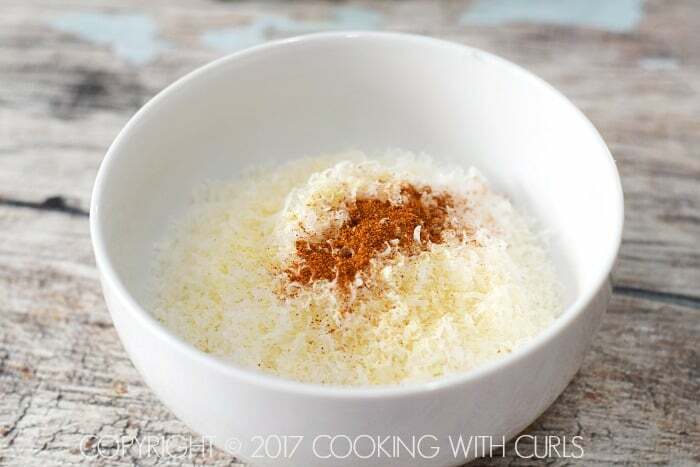 While the breadsticks are baking, mix the Parmesan cheese, cayenne pepper, and garlic powder together in a small bowl….. 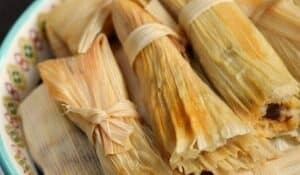 Roll the Bacon-Wrapped Breadsticks Appetizer in the cheese mixture when they come out of the oven. Be careful, they are HOT! 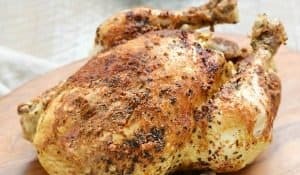 Let cool and serve at room temperature. Like I said, I really enjoy dipping mine into Basil Pesto….. I used un-cured, all-natural Hormel bacon for mine. Each brand may vary in size, but make sure you get the thin kind. Twist the bacon around each breadstick, but don’t pull it too tight as you go around or the breadsticks will bend as the bacon shrinks up. I used a combination of plain and sesame breadsticks. It is really just personal preference, use your favorite. A 1/4 teaspoon of cayenne powder gives these breadsticks a bit of heat, but it is not overpowering. Adjust as needed to fit your tastes, or leave it out all together if you prefer. All ovens bake differently so cooking times are approximate based on my oven. So who is ready to throw a party? 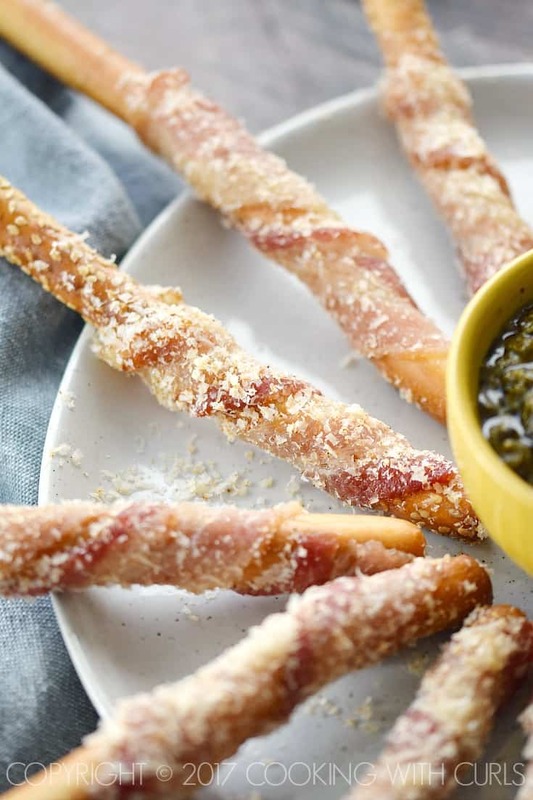 Bacon-Wrapped Breadsticks Appetizer sprinkled with spicy Parmesan and served with Basil Pesto is a perfectly simple snack for your next party! 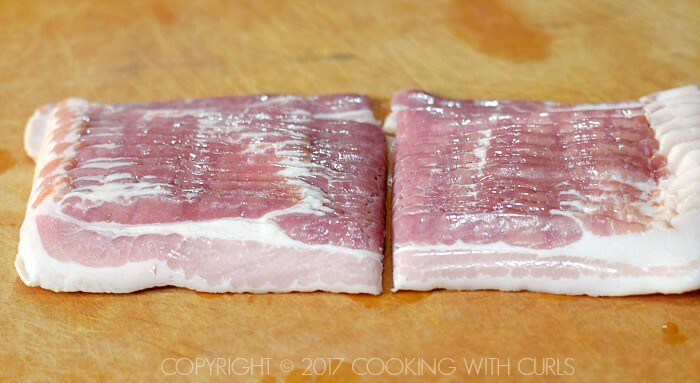 Cut bacon in half. 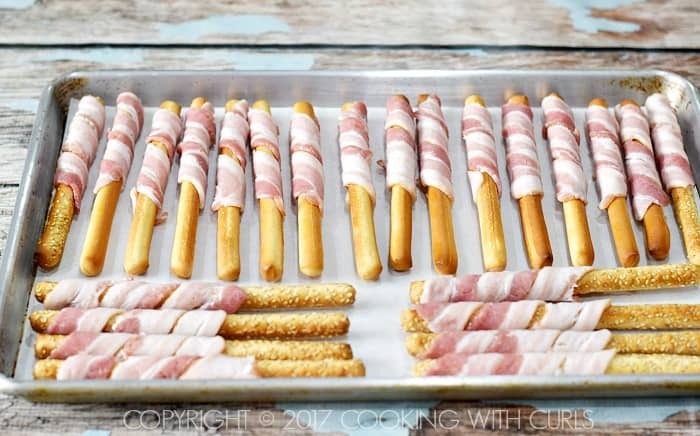 Grab one slice of bacon and wrap it around each breadstick, and place them on the prepared baking sheet. 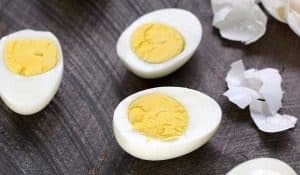 Bake for 20 to 25 minutes until bacon is browned. While the breadsticks are baking, mix the Parmesan cheese, cayenne pepper, and garlic powder together in a small bowl. Let cool and serve at room temperature. Like I said, I really enjoy dipping mine into Basil Pesto.